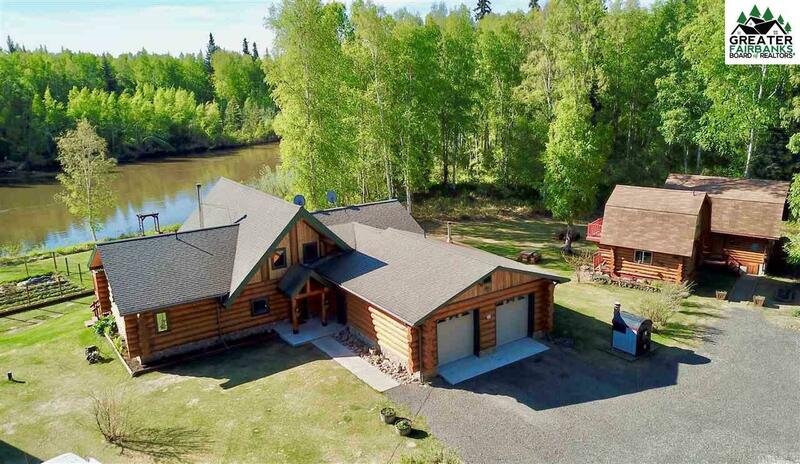 Alaskan dream home located on the banks of the Chena River. 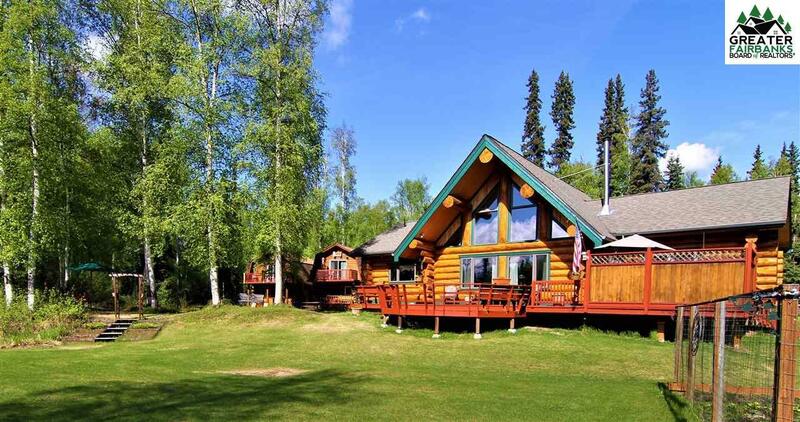 This gorgeous full scribed log home features vaulted tongue and groove pine ceilings throughout, custom stained glass windows, diamond willow railings, large kitchen with granite countertops and hickory cabinets. The beautiful master bedroom with river views has a large walk-in closet and a master bath with a 2 person Jacuzzi tub. As you enter the great room, you are greeted by a magnificent stone fireplace making your winter nights warm and cozy and a stunning river view. The main house is 1866 s.f., 2 bedroom cabin is 726 s.f. and the 1 bedroom cabin is 422 s.f. The attached 938 ft. two car garage with a 10 ft. ceiling also has a craft area with oak cabinets and sink, a built-in pantry and storage shelves. 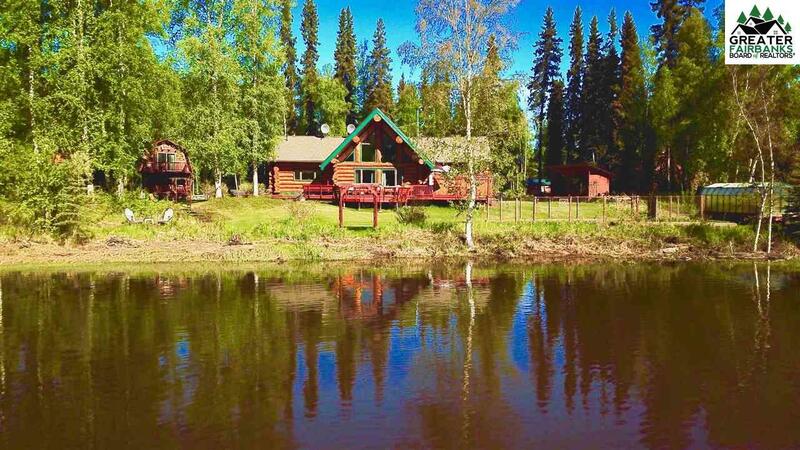 This property also features two modern log cabins, both with full kitchens and baths. To offset some heating costs there is an EPA rated outdoor wood boiler which is capable of heating the home and both cabins. Also on the property is a smokehouse, sauna, 3 greenhouses, large woodshed, portable garage, moose proof garden and many perennials. 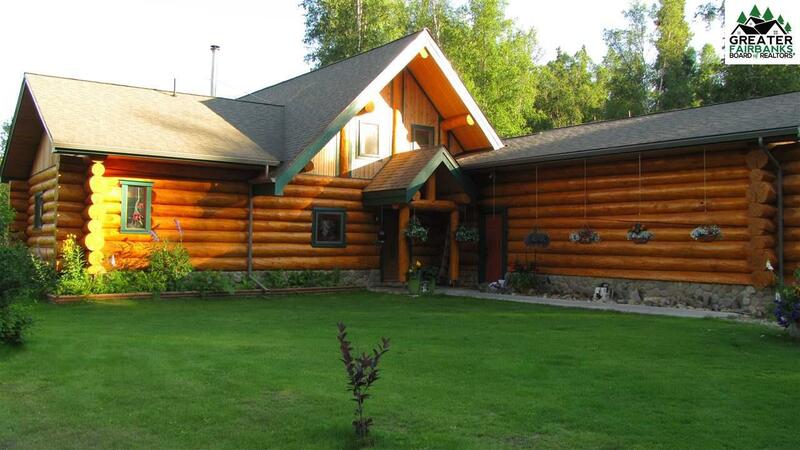 The 3.25 acres of beautifully landscaped property has 226 feet of accessible sandy beach river frontage. Listing provided courtesy of Andrea Barker of Alaska A La Carte Realty.